Located in the Old Town, near the Old Bazaar, the Church of the Holy Saviour is considered as one of the most beautiful churches in the inner city of Skopje. The church was built at the end of the 17th century or at the beginning of the 18th, after the fire in 1689 which destroyed bigger part of the city. The definite look of the interior the church got during the 19th century, the beautiful iconostasis and icons were completed in 1824 while in 1867 part of the throne icons was made. Interesting is the fact that inside the church there is a fragment of fresco painting that once belonged to the older church on whose foundations this church stands today. 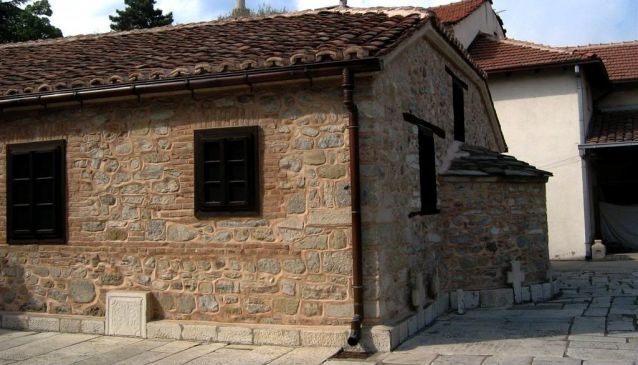 The church is half dug in the ground because in the time when it was built Macedonia was under Turkish oppression and the authorities did not permit Christian sanctuaries to dominate the space. What makes the Church of the Holy Saviour the most visited are the beautiful icons, monastic room, splendid iconostasis, outstanding bell tower as well as the tomb of the Macedonian revolutionary Goce Delchev which is situated in the courtyard. However, the church is visited daily by believers and tourists from different parts of the world as it represents the rich culture and splendid tradition of the Macedonian people.